When a homeowner is looking for the best security system, one of the things they often want is integration compatibility. 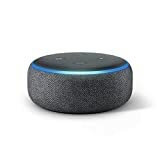 They can get this if Alexa can find their Hue bridge and collect all the information to find devices, but if it can’t find the bridge that can be big trouble. It can lead to a lot of frustration — and that’s never a good thing for a homeowner who just wants to make sure things are protected. With that in mind, there are some steps to take when Alexa needs to find a Hue bridge. Following the right steps is a good way to make sure that the bridge is working properly, and that Alexa is able to work with all the devices that a homeowner has in their house. That can provide convenience, but it can also offer plenty of peace of mind. That peace of mind is important with a security system, and especially with one that involves Alexa and its voice control of the devices in a home. Being able to rely on the voice commands and know that Alexa’s pairing with other devices will be effective can help with the peace of mind any homeowner has. Some homeowners think that Alexa’s compatibility isn’t that important, but for many people the idea of having a Hue bridge connected is nearly vital. It allows them to focus on a high-quality experience, and also ensures that they can get the most value from their smart home dollars spent. 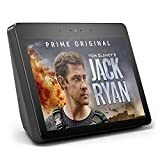 But for a time, Alexa wasn’t as compatible with other devices as it is now. In today’s technological and fast-paced world, more devices are being designed to work together, and that’s fueling things like the Alexa and Hue bridge pairing. Most Hue bridges have buttons to push that makes the device discoverable, in the same way many cable modems and routers work. Because of that, it’s important to push that button before asking Alexa to pair the device. Additionally, it’s necessary to un-pair and then re-pair the device if it’s already connected but not being located. 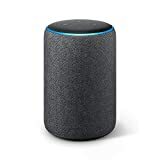 Alexa will need to search for the device, and that can’t be done if the Hue bridge is already paired, or if the signal from it isn’t discoverable. Why is a Hue Bridge so Valuable to a Homeowner? With the right security system a homeowner can have true peace of mind and a high level of security. With a Hue bridge, many of a home’s systems can be easily controlled. Add Alexa to that, and the homeowner suddenly has the option to control all of the home’s systems with their voice. That voice control can be significant for a number of people who have busy lives and want to make sure their home continues to run smoothly. The value of Hue bridge isn’t tied to Alexa, but the voice control can certainly add to that value in many ways. With a good company, Alexa, and a Hue bridge, along with the most common types of monitored home security equipment, any homeowner can have the level of peace of mind they’re looking for.